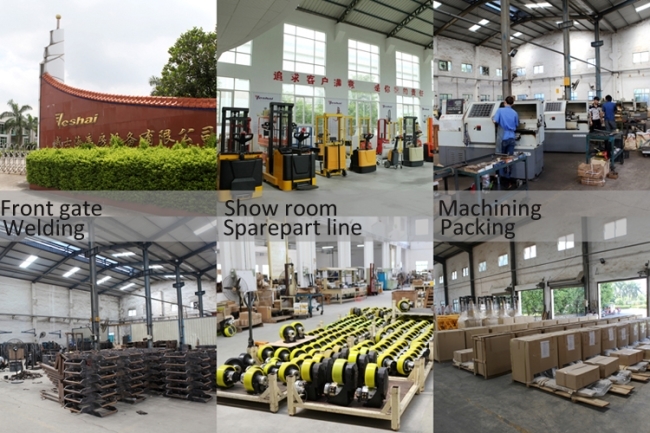 Zhaoqing Veshai Handling Equipment Co., Ltd was established in 1998 in Dawang Comprehensive Economic Development Zone. Our factory occupies more than 88,000 sqm, of which more than 30,000 sqm is used for manufacturing trucks and lifting equipments. More than 10,000 sqm is allocated for MHE power transmission and control parts. 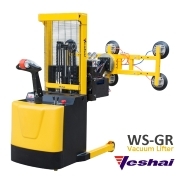 Veshai is able to supply the whole line of electric lifting equipments, including: stackers, pallet trucks, lift tables, tractors, dock equipment and all sorts of industrial products. Veshai products have been exported to more than 60 countries in the world. More than 90% of our products are exported. Veshai has been an OEM partner for many famous manufacturers around the US and Europe for more than 15 years. Veshai designs and manufactures most of the main parts for MHE, such as hydraulic power units, drive wheels, cylinders, controllers and so forth. Our components have not only been used in our own trucks, but also supply to well known manufacturers. Veshai is certified in compliance with the internationally accepted quality standard ISO 9001 & CE Certificate for most of our stackers and trucks. Veshai insists on the principle of "leading technology, supreme reputation"; we provide the safest, most efficient and ergonomic equipment, which is easy to handle, easy to service and which delivers value for customers. Veshai has been honoured as "Harmonious Enterprise for Labor Relationship" and "Guangdong Famous Trademark" for more than 10 years. 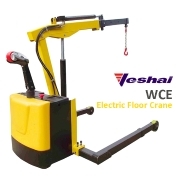 Electric Floor Crane - For more information on the Veshai product range, click here. 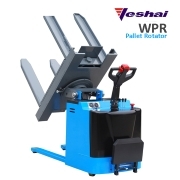 Pallet Rotator - For more information on the Veshai product range, click here. 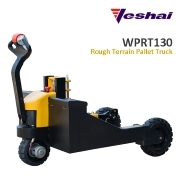 Rough Terrain Pallet Truck - For more information on the Veshai product range, click here. 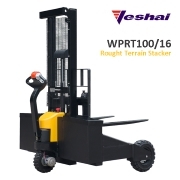 Rough Terrain Stacker - For more information on the Veshai product range, click here. Vaccuum Lifter - For more information on the Veshai product range, click here. 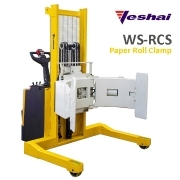 Paper Roll Clamp - For more information on the Veshai product range, click here. Your enquiry has been sent to Veshai Handling Equipment Co.,Ltd..